Chanukah is probably one of the best known Jewish holidays. The Jewish festival of rededication, also known as the festival of lights, is an eight day festival beginning on the 25th day of the Jewish month of Kislev, which is the third month of the Jewish calendar, and occurs sometime in December of the Gregorian calendar. The Hanukkah holiday lasts eight successive days during which eight candles are lit, beginning with one on the first night, two on the second night, three on the third night, and so on. Celebrate the holidays with our wooden Chanuka set! 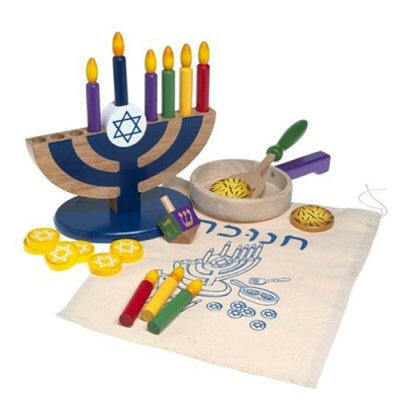 Kids can role play safely with our wooden menorah and 9 colorful wooden candles, dreidel, coins, potato latkes, spatula, pan and storage bag. 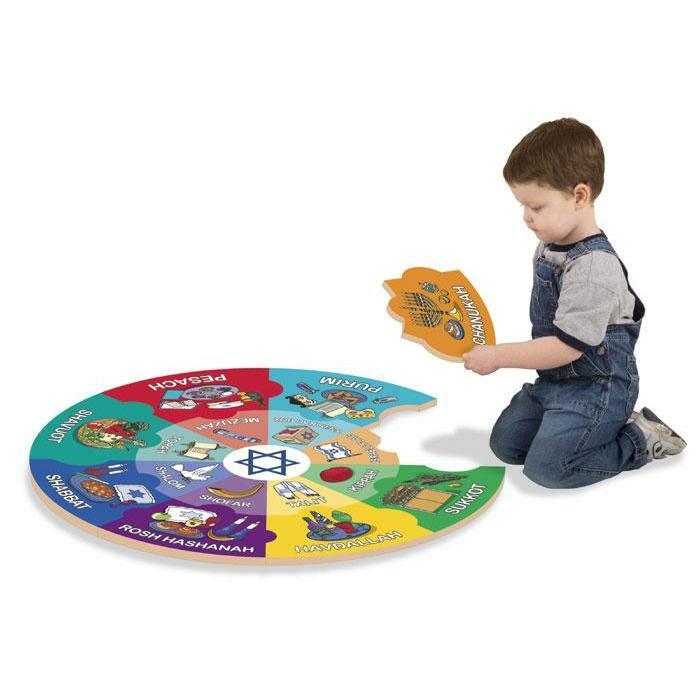 This puzzle, many more toys plus other Judica toys are available at Totally Kids fun furniture & toys. 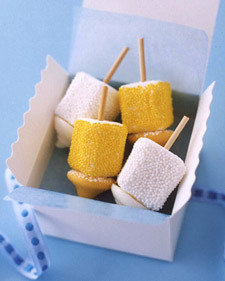 Martha Stewart shows you how to make marshmallow dreidels. 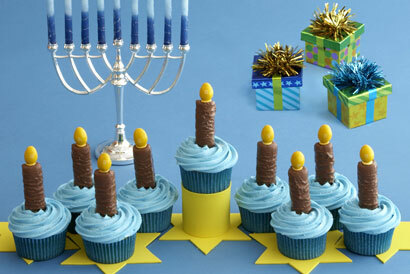 Bright Ideas…Menorah Cupcakes would be a special edition to any celebration. _______________________________ This puzzle, many more toys plus other Judica toys are available at Totally Kids fun furniture & toys. Hanukkah is coming! Find great gifts for kids. 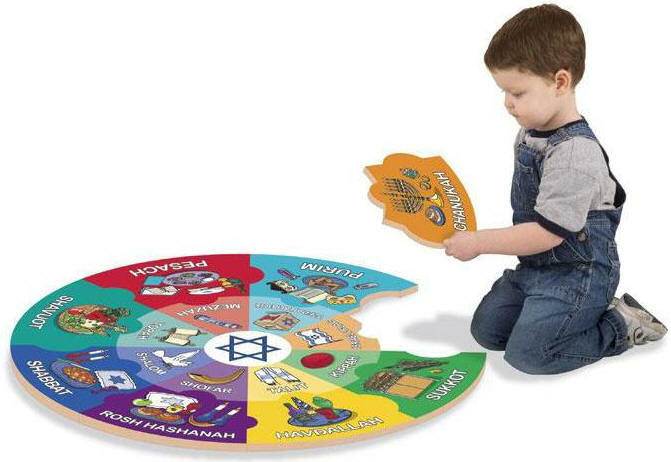 Language Little David Speaks Hebrew.